Gauteng Provincial Tournaments are to be held in March and April and CCJ will be hosting the SA Nationals in October and November 2018. The lawns have an exceptional setting in the gardens of The Country Club in Auckland Park, Johannesburg. There are 4 courts normally, but can be 5 for tournaments. Floodlights are available for evening play. 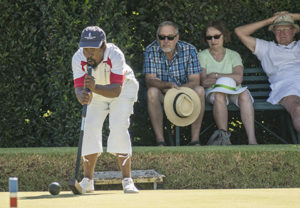 Victor Dladla (SA National golf and association croquet champion) is the full time administrator and coach. 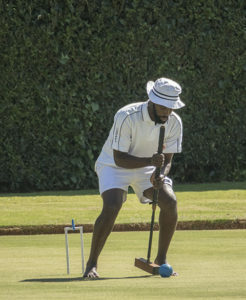 By arrangement croquet players can stay at “the Lodge” at the club which has 18 en-suite bedrooms. There are plenty of club mallets for new players to use and Golf and Association croquet are both played regularly on the lawns. 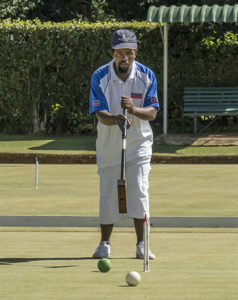 In 1997 croquet was established by the club as one of their main sports sections. A bowls green was made available, good equipment was acquired and the services of a top class coach (Chris Bennett) was obtained. After a few years, three full sized courts were added to that CCJ now has four courts for normal use and a further bowls green can be used for special events. 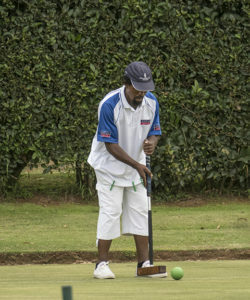 For example in 2012 CCJ hosted the World Golf Croquet Teams Championships. CCJ has become one of the strongest clubs in the country. Chris Bennett coached Victor Dladla and Meshack Mazibuko to a very high standard so that both have represented SA overseas and Victor has been a frequent winner of both the GC and AC South African Open titles. Chris Wakeham has been the SA GC Champion and the runner-up at AC and Christine Wakeham has held the GC doubles title. They represented SA in the World AC Teams Championships in 2017. A number of CCJ staff members have reached a high standard at GC. These include Thomas More and Alfred Makhubo. Many other players in the section have done very well in tournaments and play to a very good standard. 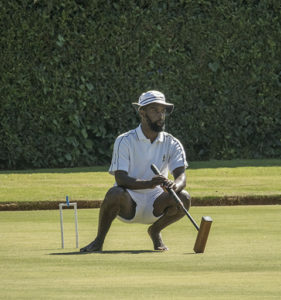 The section consists of around 30 members, but with a total club membership of more than 7 000, we would like to see considerably more croquet players. 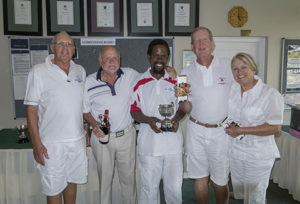 Both Chris Wakeham and Les Weiss have been President of the South African Croquet Association. Beginners, or those who just want to give it a try, are welcome on any of the above days. Just come along or phone Victor Dladla, CCJ’s coach and administrator (079 033 8288) to arrange an introductory session. How could that have missed?